There are at least 5 bands here. 1) The first incarnation was a little known US psyc/garage band in the mid sixties. playing up tempo r&b. 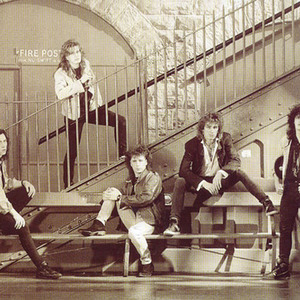 2) The most successful is a British classic metal band from the 80's who recorded sessions for Tommy Vance's Rock Show, released two EPs: The Bitter End in 1985 and Hot For Love in 1988, and also released 'One Strange Night' , a full album in 1990 on Active Records. 3) A Czech RAC/NS metal band. 1) The first incarnation was a little known US psyc/garage band in the mid sixties. playing up tempo r&b. 2) The most successful is a British classic metal band from the 80's who recorded sessions for Tommy Vance's Rock Show, released two EPs: The Bitter End in 1985 and Hot For Love in 1988, and also released 'One Strange Night' , a full album in 1990 on Active Records. 3) A Czech RAC/NS metal band. 4) A heavy/speed-metal band from the north of France formed in 1984 from the ashes of Methane. They disbanded in 1987 after releasing two demos. They reformed in 2007 and rereleased their demos on a LP ("Fils Vengeur") in january 2008. 6) Excalibur was a Traditional metal band from Spain.